Hello fellow traders. Another trading opportunity we have had lately is Natural Gas (NG #F). 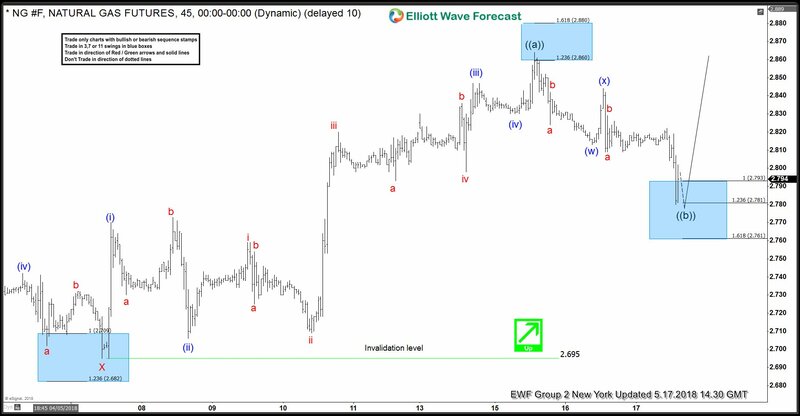 In this technical blog we’re going to take a quick look at the past Elliott Wave charts of NG #F published in members area of the website. In further text we’re going to explain the forecast and trading setup. 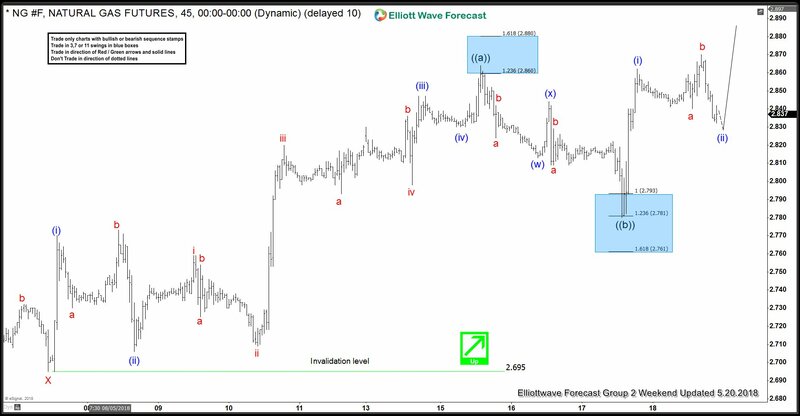 Natural Gas have incomplete and a bullish Elliott wave sequence in the cycle from the February and March lows suggesting further strength. Consequently, we advised our members to avoid selling and keep on buying the dips in the sequences of 3-7-11 swings. As we can see on the charts bellow, rally from the 2.695 low has unfolded as 5 waves, hence we labeled it as wave ((a)). Currently the commodity is correcting the cycle from the mentioned low, doing wave ((b)) pull back. Inner structure of ((b)) wave pull back is counted as (w)(x)(y) Double Three. As of right now we’re at the buying zone, equal legs (w)-(x) 2.793-2.781 where pull back should ideally complete. In the mentioned area buyers should ideally appear for further rally or 3 wave bounce alternatively which should allow us to get in a risk free position. Invalidation for the longs would be below 1.618 Fibonacci extension :2.761 level. Natural Gas has given us nice reaction from buying zone 2.793-2.781 and it has broken above previous peak : ((a)) black. As a result members are now enjoing profits with risk free positions. Mentioned break has confirmed that wave ((b)) pull back is done and next leg is in progress. As far as the price stays above ((b)) low and 2.695 pivot holds, we expect further rally. Note:Market is dynamic and view could have changed in the mean time. Keep in mind not every chart is Trading Signal. Best instruments to trade are those having incomplete bullish or bearish swings sequences. We put them in Sequence Report and best among them are shown in the Live Trading Room. We cover 78 instruments in total. 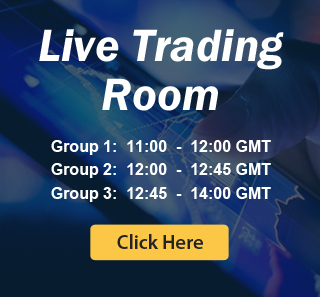 We present Official Trading Recommendations in Live Trading Room. Through time we have developed a very respectable trading strategy which defines Entry, Stop Loss and Take Profit levels with high accuracy. Currently we’re running special promotion for new members, giving 2 Months for the price of 1. Sign up at the banner below.